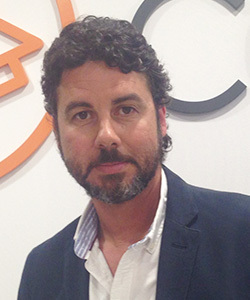 Alvaro, a native of Alicante, has experience in both the U.S. and Spain. His experience with U.S. students includes working with a late youth program at a local TV station, travelling through Central America as a U.S. program supervisor, and coaching NCAA 1st division college tennis. He has also written two documentaries and continues to enjoy work in the field of media arts. Alvaro earned his undergraduate degree in Media Arts from the University of Arkansas – Little Rock. He is fluent in Spanish and English. Adriana was born and raised in Madrid, and relocated to Alicante to attend the Universidad de Alicante, where she majored in Tourism. She has a professional background in the tourism industry and has also worked in a university helping students to integrate to their new city. 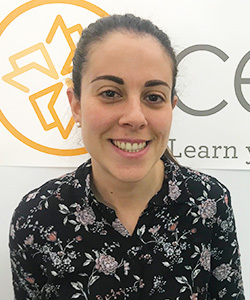 As a Student Services Coordinator in Alicante, Adriana advises students on issues related to student life, immersion, and cross-cultural information about the city, health and safety. She is responsible for day-to-day management of student services and for maintaining close contact with student families. In her free time, Adriana enjoys learning new languages.